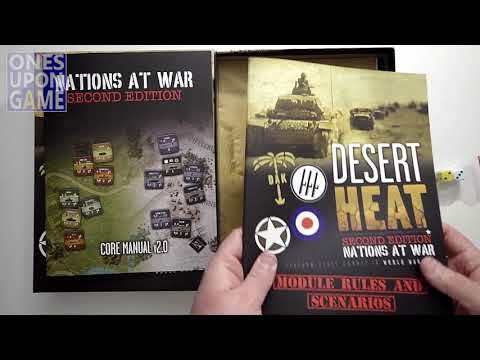 Nations at War: Desert Heat társasjáték - Magyarország társasjáték keresője! A társasjáték érték! 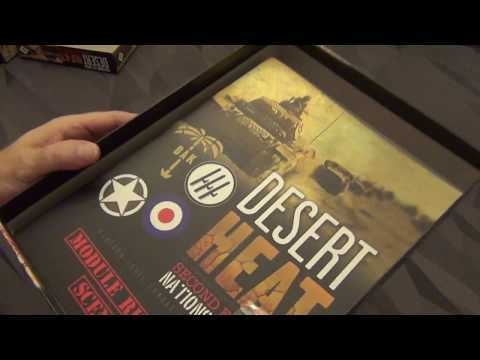 A Nations at War: Desert Heat egy nagyszerű társasjáték, 2 játékos részére, az átlagos játékidő rövidebb, csak 45 perc. A társast, 14 éves kortól ajánljuk kipróbálni. A játékmenet erősen épít a "hex-and-counter" rendszer, a "chit-pull" rendszer és a kockadobás mechanizmusokra. "The Axis and Allied Armies struggle for control of North Africa, 1941 – 1943. 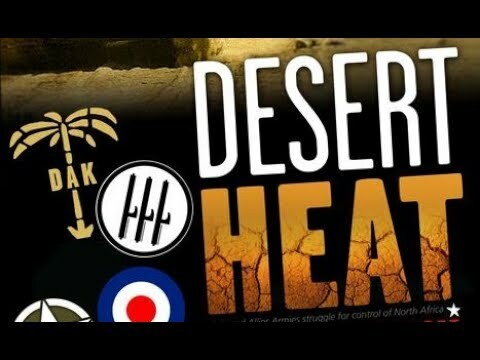 "In Desert Heat, the Nations at War system brings all the grit and fluid action of the North African Campaign to your gaming table in the platoon-level scale. Tanks, armored vehicles, anti-tank guns, mortars, infantry, air support and artillery are at the tip of your fingers. In 16 scenarios, the Italians, Germans and Vichy French fight against the British, their Commonwealth allies from Australia, New Zealand and South Africa, and the Americans and the Free French. New to the system are obstacles such as Wire and Anti-Tank Ditches. What would desert combat be without that ever-unpredictable variable: Dust. It’s Panzer IIs, IIIs, and IVs against M3 Lees and M5 Stuarts, and M13/40s and L3s against Crusaders, Valentines and M3 Grants. 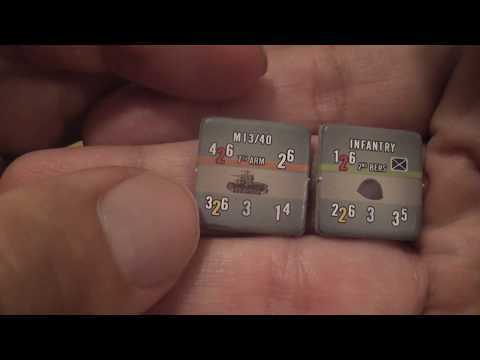 It’s Armored Infantry in desperate close assaults, and ATGs, air support and mines. "It’s a fluid struggle pitting tank on tank, and now you can re-fight these battles using the popular Nations at War system. Based on the popular World at War tactical system, NAW depicts platoon level combat in World War II. In NAW you'll find everything you're looking for in a platoon level game: armor, artillery, infantry serving as more than cannon fodder, command and control, air support, and desperate close assaults that leave the victor in possession of the ground and the defeated in headlong retreat." Desert Heat Box Opening a quick look at the components.